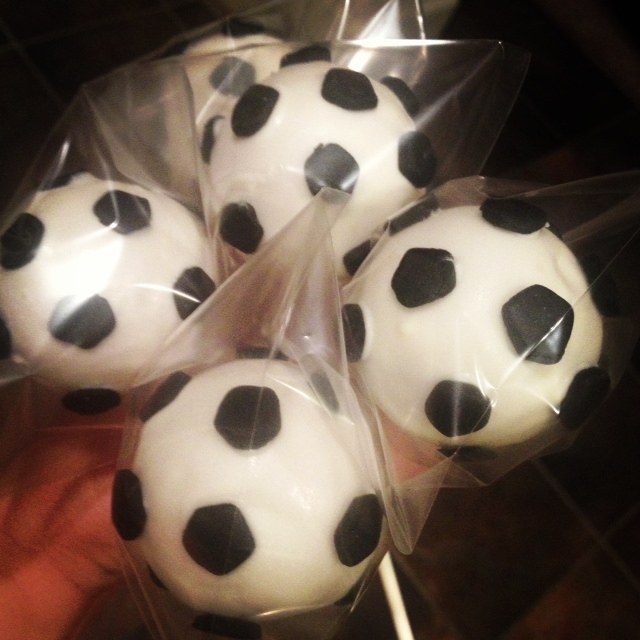 CAKE POPS – Gotta Make That! 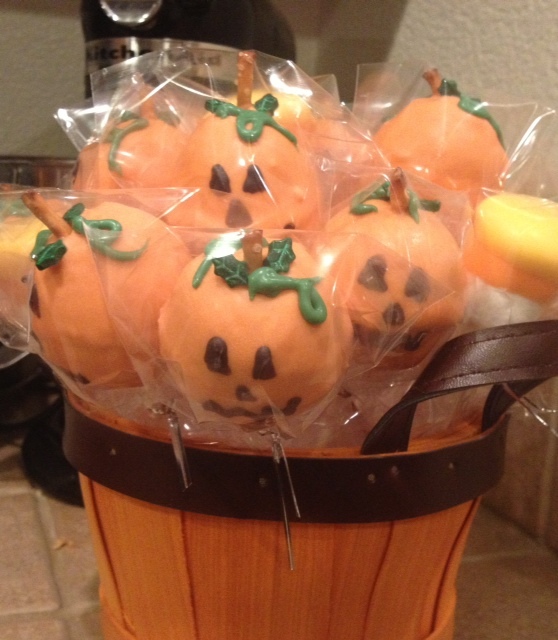 So, some helpful tips when making the cake pops, and using the cake pop pan. Always follow the cake pop pan directions, which involves more eggs, using milk instead of water, and half the amount, and adding one box of cake mix that matches the flavor of your boxed cake mix. The cake pop pan will leave a little cake ring around you cake pops, making it look like a flying saucer. That’s great if you are going for the outer space look, not so much if you are not. So while they are still warm I use some kitchen scissors and cut it off, you can use a serrated knife too. 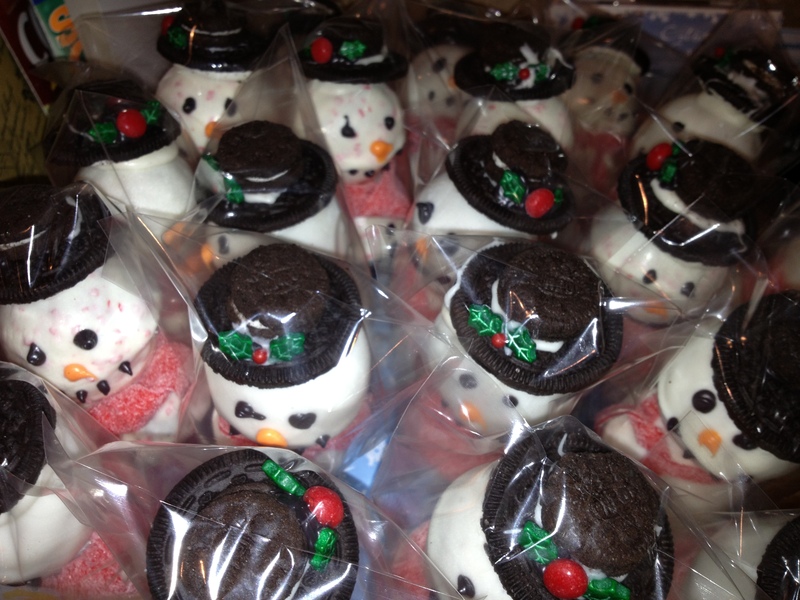 This I did not do for my poor snowmen, they needed a trim around the middle. 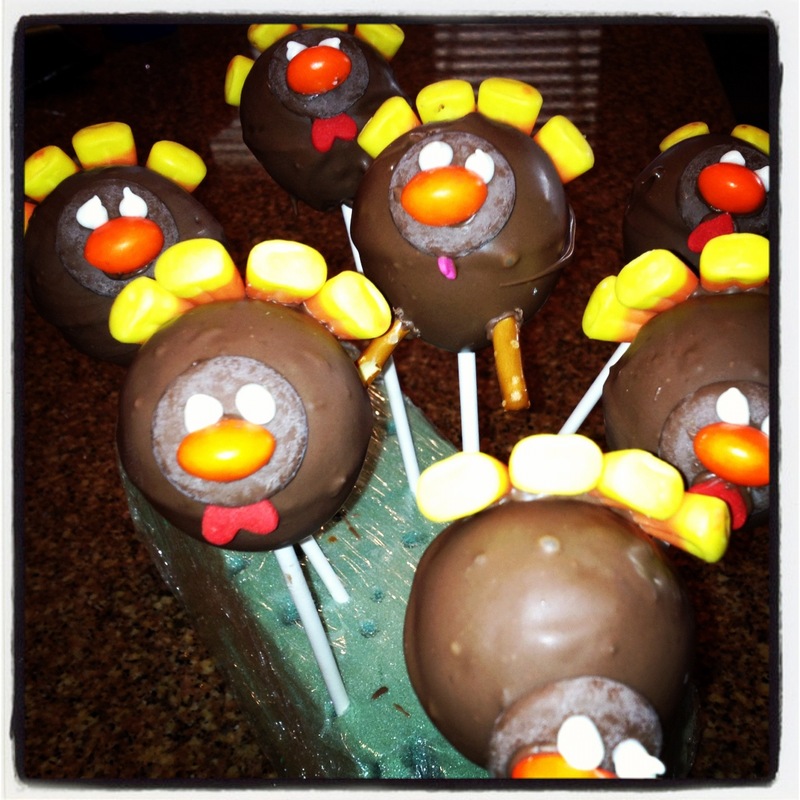 Next, always use a dollop of candy melts on the stick before you stick it into the cake pop. 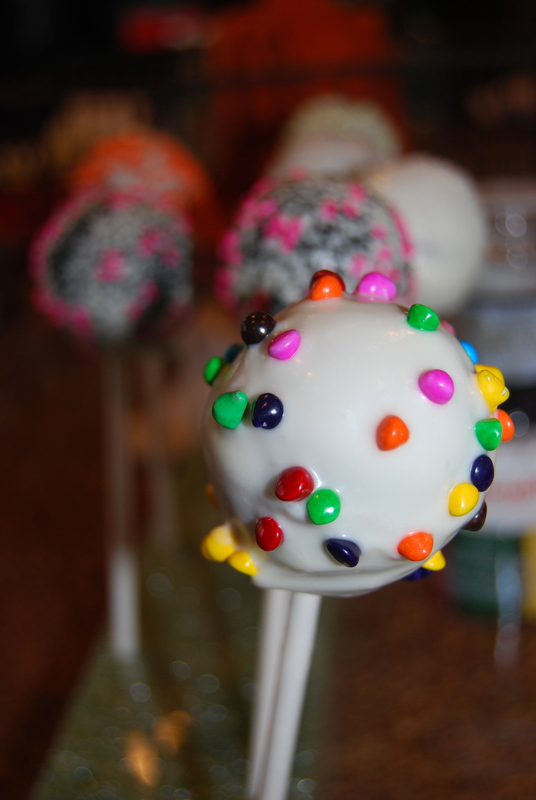 I actually first stick the cake pop with a clean stick to make a hole, then dip the stick in candy melt, and re-stick it in, so that more candy melt gets into the center to hold the cake pop on better, rather than it making a glob on the bottom of the cake pop. 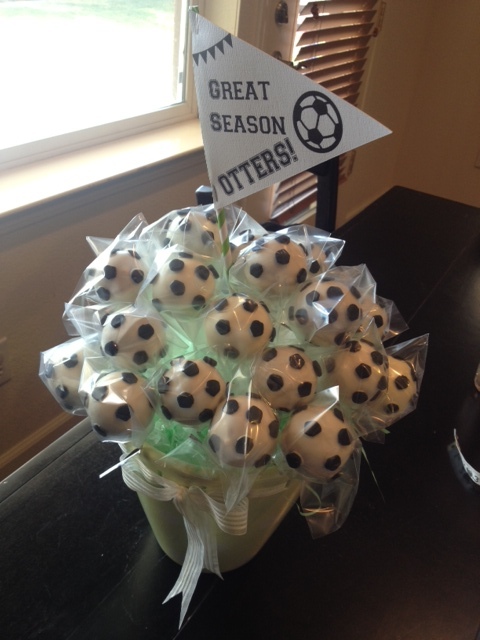 Next, be sure to put them in the freezer before you dip the entire cake pop. 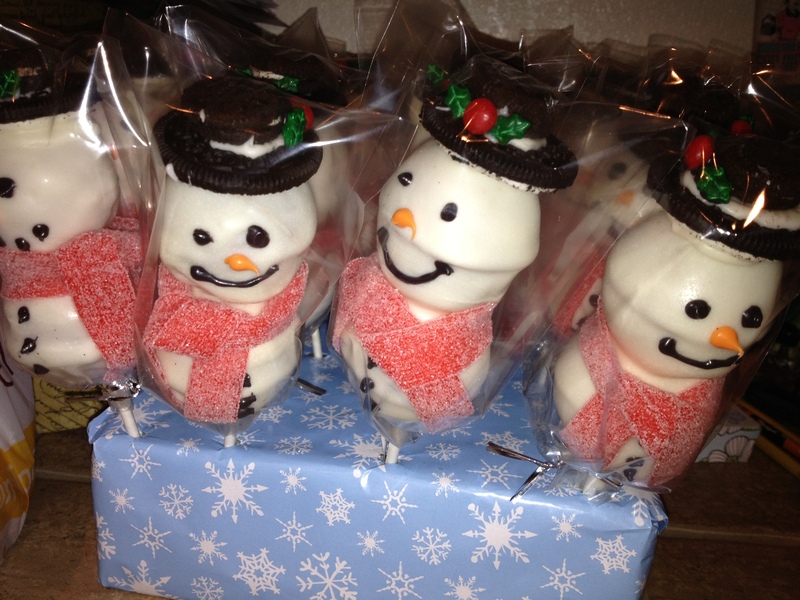 It will help to keep it on the stick and also to keep the crumb out of your candy melt, which ruins the finished look. Also, if you can, after the first dip dries, you can re-dip for more a smoother finish. When you use the candy melts, be sure not to over heat in the microwave, because it will burn. Be sure to tap the excess chocolate off by gently tapping the stick on your finger. Turn while you tap. Rather than stick the hexagons on while all the candy melts were still wet for the soccer balls, I just used a stick and put a dab of candy melt on the back of the hexagons and applied. If you did it when they were too wet they may slide around. Also, use a piece of styrofoam to stick the sticks in so the tops stay nice and round and so you can continue to get the rest done. We made these as a fundraiser for Relay for Life, and sold out! 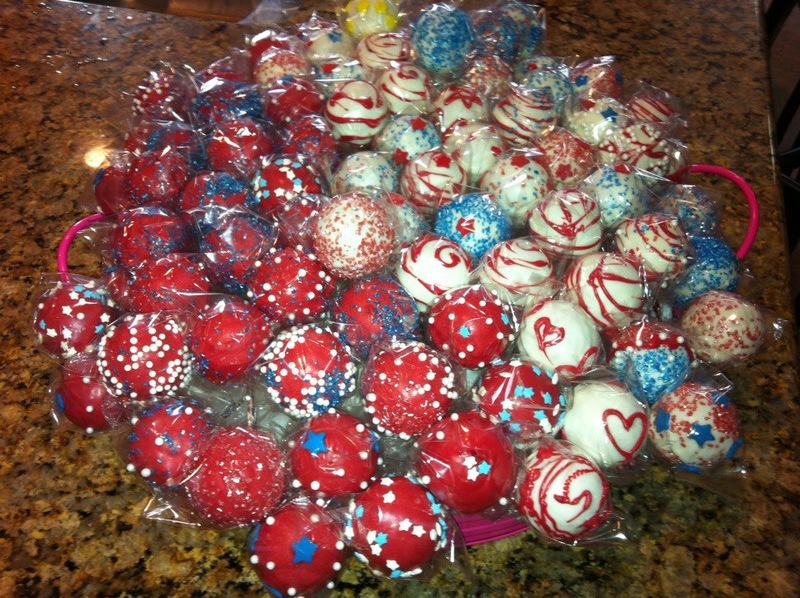 Why do I love cake pops so much? Less mess when your kids eat them, and portion control is a plus, not to mention you can make them look so different. Have fun with them! 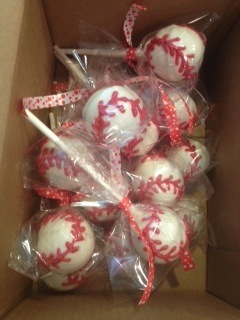 I just used the candy melts and red candy melts in a pastry bag with a small round tip to make the red laces. You definitely need to use some styrofoam and keep them upright though so they can dry nicely.